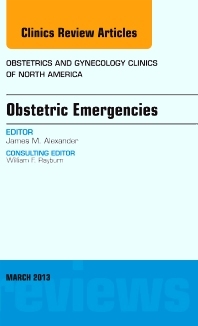 This issue of Obstetrics and Gynecology Clinics covers the most common and uncommon obstetric emergencies, including emergency caesarean section, resuscitation of the newborn, and hypertensive crisis. Other articles include coverage of the most daunting ob complications--shoulder dystocia and intrapartum hemorrhage. James Alexander, MD, serves as Guest Editor for this important issue.